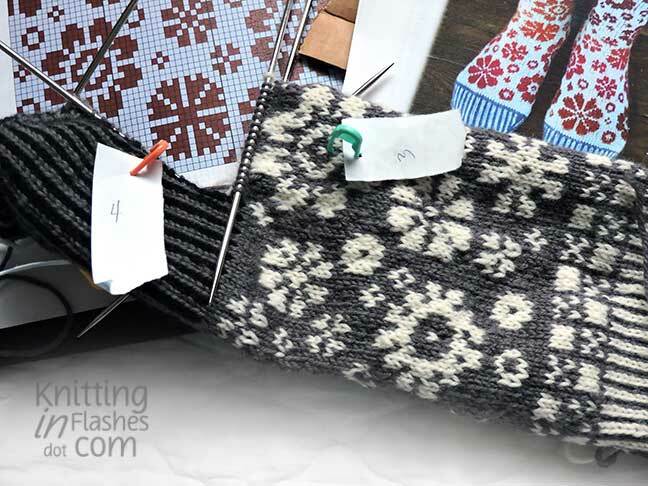 This entry was posted in knit, knitting, knitting pattern, sock, yarn and tagged knit, knitting, pattern, yarn by Patti_is_knittinginflashes. Bookmark the permalink. I love my tiny circs, socks fly off of them! They take a little getting used to, but it is worth it. Good luck! And love those socks! Don’t know what most of that means, but the socks are lovely! 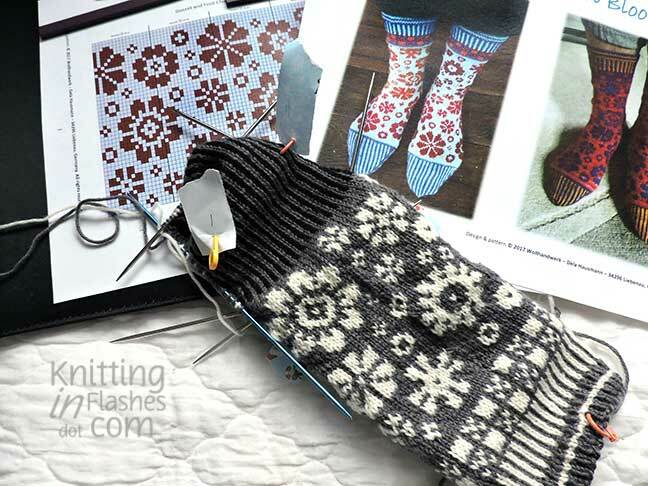 You lost me with dpn, but I love the socks and you are amazing. Lovely socks. 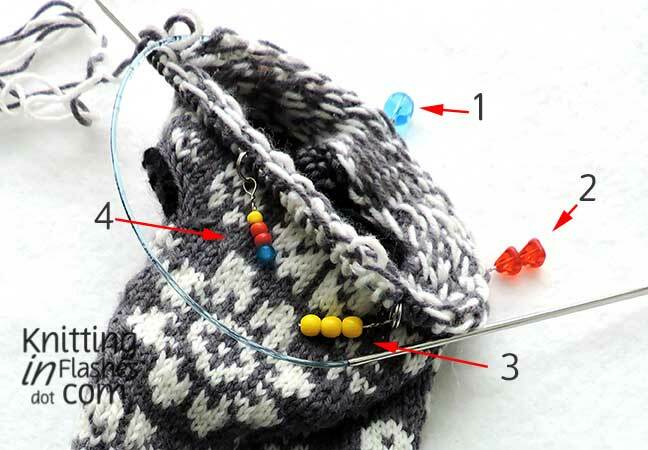 Stitch markers with 1,2,3 and 4 beads is a great idea. Your socks are adorable! 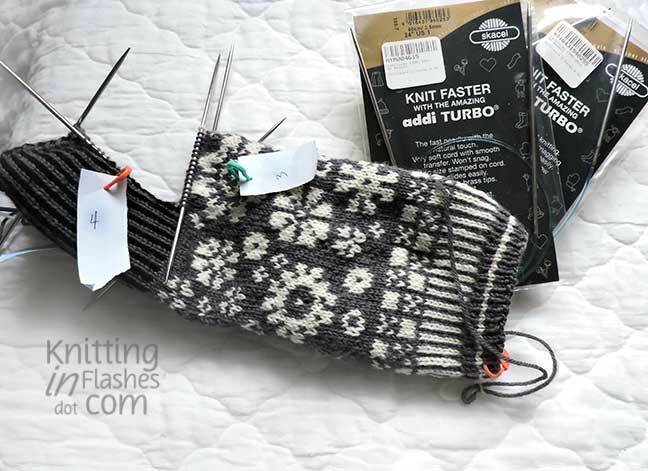 I usually use 2 needles and have half of the sts on each. For mittens, front and back. Then I only have to remember to not use the wrong tip when starting the next needle! Thank you. 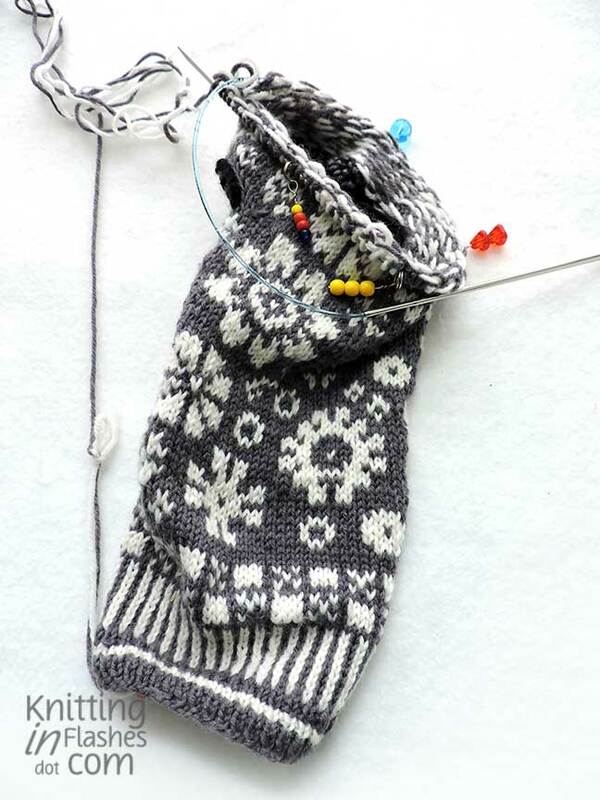 I will try the Magic Loop method and 2-at-a-time socks in the future. That means I have to buy more knitting needles! Those look REALLY REALLY REALLY difficult. You certainly love a challenge! A BIG one!!!!! Ebby would be so proud. She would…then she’d tell me I’m crazy!